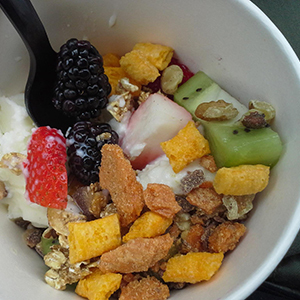 It's all about the yogurt! 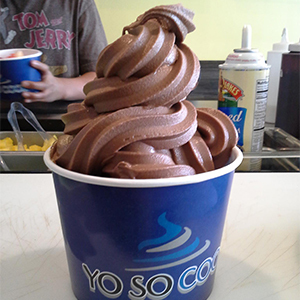 YO SO COOL frozen yogurt is all about the healthy live active cultures.Our frozen yogurt contains high levels of beneficial live and active yogurt cultures. 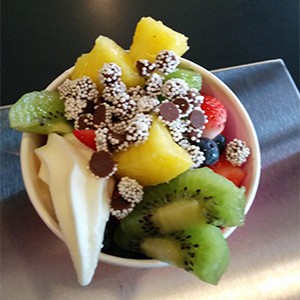 These cultures are probiotic (literally meaning "for life") and help insure the proper intestinal balance needed for digestion and good health. 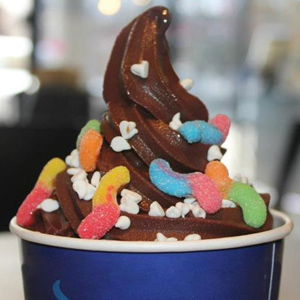 YO SO COOL's yogurt cultures include: S. thermophilus, L. bulgaricus, L. lactis and L. acidophilus. 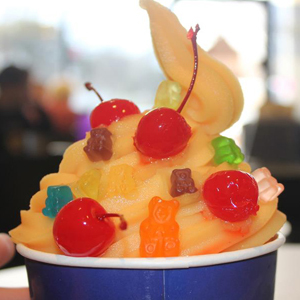 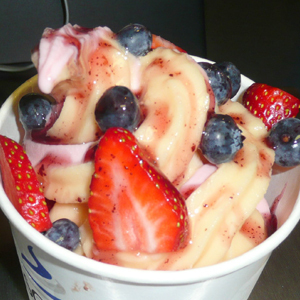 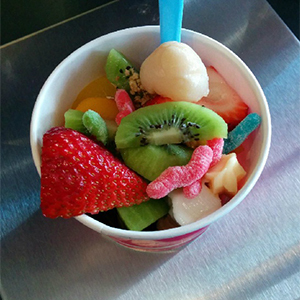 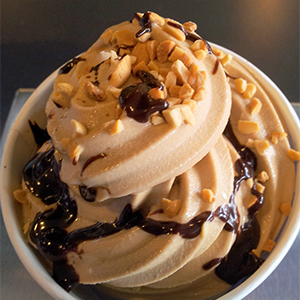 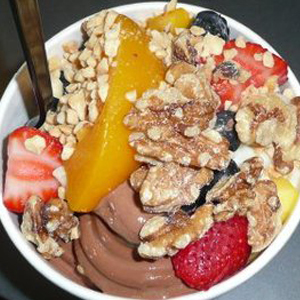 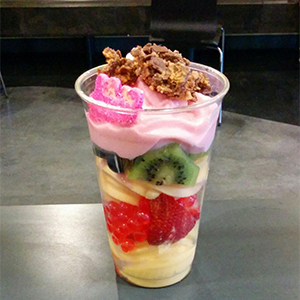 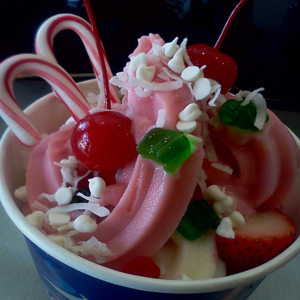 Our frozen yogurt is never heat treated after culturing. 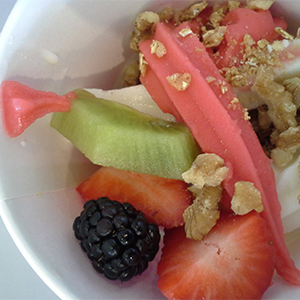 This attention to quality ensures that you receive the healthy benefits of the living yogurt cultures in a creamy delicious frozen dessert. 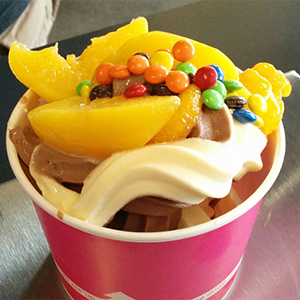 YO SO COOL frozen yogurt meets and exceeds the requirements set by the National Yogurt Association. 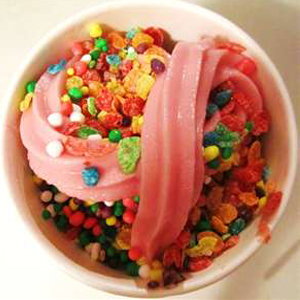 Nutritional information is posted on each label at the soft serve machine. 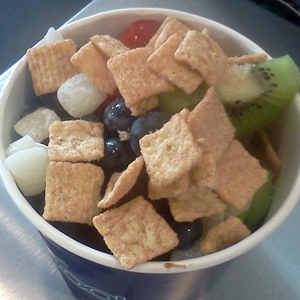 You will find that most of our yogurt flavors are gluten free and all are certified Kosher. 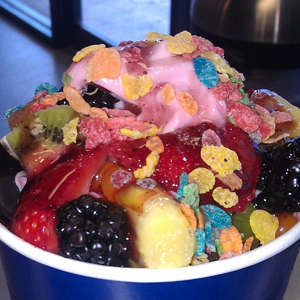 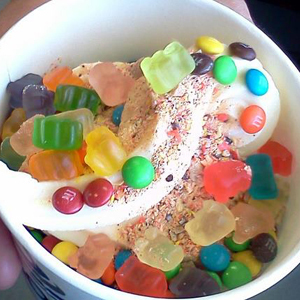 We rotate our flavors for variety and offer 12 yogurt flavors at a time. 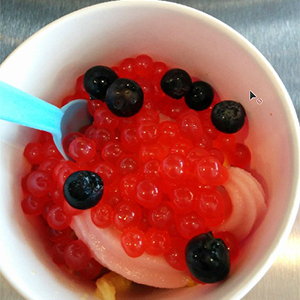 Most are nonfat or low fat yogurt, one is a non dairy sorbet, one is no sugar added and we always offer the original Tart. 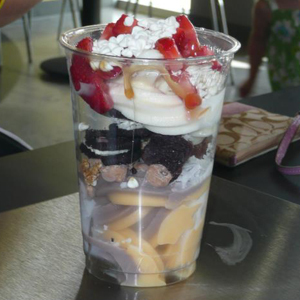 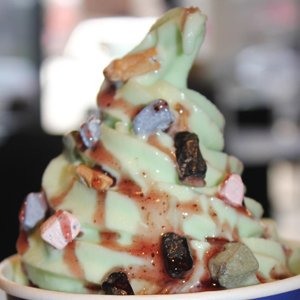 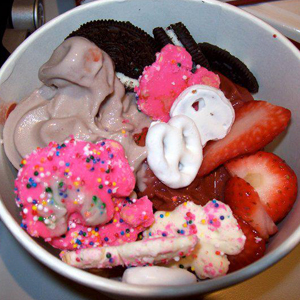 YO SO COOL has tons of toppings to choose from and because the toppings are self-serve as well as the yogurt, it's likely you'll find whatever you need to create your own yogurt masterpiece. 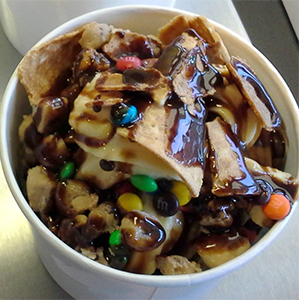 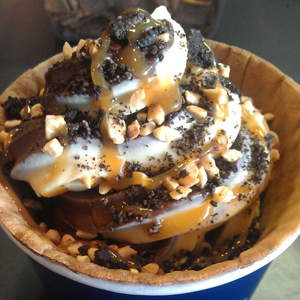 If you don't see a topping you like - ask us! 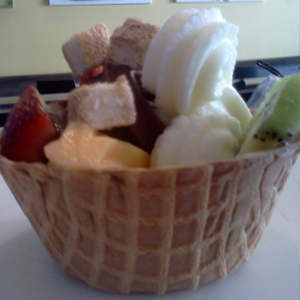 If we don't have it - we will do our best to get it.